If you love turn-based battles, but are sick of the sword-and-sorcery scenery, you need to check out this courtroom RPG. It’ll leave you saying “one more case” for hours, and Android users can pick it up free if they hurry. 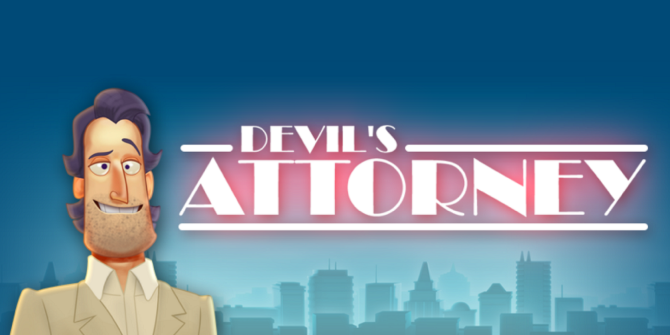 Devil’s Attorney, a game set in the 1980s and starring a defense attorney dedicated to keeping criminals on the streets, is free until the end of next week as part of a Humble Mobile Bundle promotion. All the games offered are worth checking out, but even if you’re not interested in the bundle, there’s no reason to not pick up this gem. The game is a turn-based RPG where the courtroom is your battlefield, and a sleazy defense attorney named Max McMann is your hero. Instead of facing trolls and warlocks, you’ll “battle” witnesses and evidence. Instead of buying armour as upgrades, you’ll buy all the colourful furniture and arcade cabinets the 1980s had to offer — excess consumption apparently fuels the ego Max uses to win cases. Yeah, the main character is kind of a terrible person, but the gameplay is so addictive you won’t care. It’s so fun that I think we can add this to our list of Android RPGs that rock 3 Android RPG Games That Rock 3 Android RPG Games That Rock Mobile gaming is known for puzzle games and casual games, but what about the other genres? Games like Angry Birds and World of Goo took the world by storm when they first came out and... Read More , even if it is a little on the short side. Like I said: this is an RPG where you play a scumbag lawyer, an unholy combination of Jeff Winger, Saul Goodman, and the very worst aspects of 1980s consumerism. Chaotic Neutral, in RPG parlance. Anyway, to win cases you need to “defeat” witnesses and evidence, using “attacks” like interrogation and analysis. There are also some abilities, like Objection, that can delay damage for one round. The fun is finding the right combination of everything to win quickly. The goal is to keep guilty people out of jail. A colourful collection of prosecutors wants to stop you, and each of them have their own abilities for the job. Some, for example, restore the credibility (HP) of witnesses after each round; others attack you directly. There are also experts that boost the damage a witness or piece of evidence can do to your case, meaning the game can slowly become more complicated than you initially expect. It never gets overwhelming, though, and it’s always pretty fun to discover the proper combination of techniques. But almost as much fun is the cases themselves. The actual crimes in question have nothing to do with the gameplay, and they’re almost all ridiculous — in a good way. The game’s atmosphere is relaxed, with random 80s synth sounds and Max’s vane asides making up a good bit of the soundtrack. You’ll laugh a little, especially before the cases: there’s always a (skippable) bit of banter between Max and the prosecutor on the case. There’s a paper-thin story here, and there are three different endings. This, combined with the different difficulty levels, gives players a reason to play through all the cases again. That, and to read the newspaper headlines they accidentally tapped through before. In most RPGs, you level by collecting experience points and also buy equipment to enhance your stats. In Devil’s Attorney, you buy unnecessary crap for your apartment, car, and wardrobe to increase stats like Materialism and Vanity. Yeah, it’s weird, but this is the way the game lets you unlock advanced abilities like Intimidate (takes away half of a person’s credibility/HP). Oh, and there’s an arcade cabinet you can buy. Do so, and you can actually play a game-within-the-game. It’s kind of a space invaders thing, don’t miss it. This isn’t a game that’s going to take all of your mental energy, but it’s the perfect way to relax at the end of the day. Pick it up now and enjoy yourself. Or, if you prefer longer games with new gameplay every time, check out these roguelike games for Android Roguelikes For Android: A New Adventure Every Time Roguelikes For Android: A New Adventure Every Time How awesome would it be if a game offered a whole new world and experience every time you played it? Read More . Oh, and if you missed the giveaway but still want a free game, check out last year’s list of undiscovered free games 4 Undiscovered Free Games for Android You Simply Have to Play, Right Now 4 Undiscovered Free Games for Android You Simply Have to Play, Right Now How many awesome games haven't you played because they were never discovered? 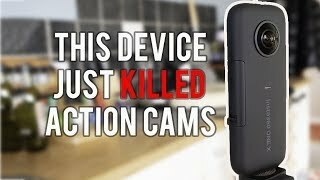 Read More for your device. For everyone else: how’d you enjoy Devil’s Attorney? Let me know your favourite bits in the comments below, and feel free to point out anything you think fans of this game would enjoy. Perfect! I've read good things about this game, but never got round to buying it. It always looked really neat. Now I've got no excuse. Looking forward to playing. Well that went quick - no longer available for free..... shame. On Google Play it's not, and never was.